Rules of volleyball can seem intimidating to learn at first. Whether you’re a beginning player, coach or fan, learning the rules will make volleyball an overall more enjoyable experience. The referee/duty crew is made up of two refs, line judges and a scorekeeper. Exception: If the ball is driven into the net with such force that it causes the net to contact an opposing player, no foul will be called, and the ball shall continue to be in play. When attacking a ball coming from the opponents court, contacting the ball when reaching over the net is a violation if the ball hasn’t yet broken the vertical plane of the net. Crossing the court center line with any part of your body. Exception: if it’s the hand or foot, the entire hand or entire foot must cross for it to be a violation. 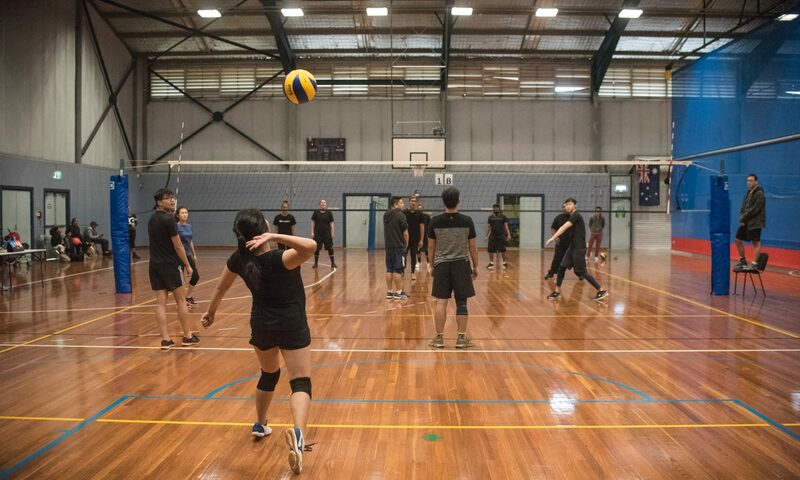 Back row player blocking and spiking, back row players near the net cannot contact the ball when part of his/her body above the top of the net (an illegal block).